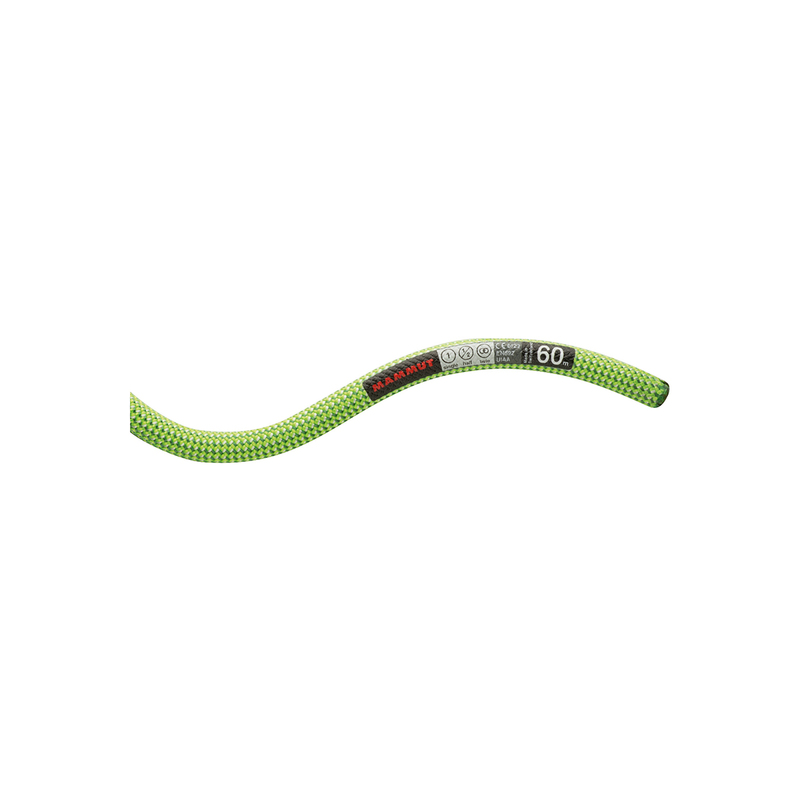 The Mammut Serenity Dry Standard 8.7mm is one of the thinnest and lightest single ropes by Mammut. The Mammut Serenity Dry Standard 8.7 mm is a great choice for ambitious sports or alpine climbers for tackling the most difficult climbing routes at the absolute limit. With a high sheath proportion for such a thin rope, the 8.7 Serenity is the longest-lasting, most durable rope of its kind. As well as meeting the standard for single ropes, the 8.7 Serenity also meets requirements for half and twin ropes, and is therefore suitable for mountaineers looking for a versatile and light rope. Thanks to the COATINGfinish™ treatment, the Serenity of course guarantees top performance and outstanding, flexible handling. Watch our Gear Geek video about the Mammut's new, 2015 rope line and learn all great features of them in less than 1:30 minutes. The line is a specially-engineered, waterproof collection offering great all-around use for anyone from beginners to expert climbers. Whether you are climbing hard in the mountains or beginning in your local gym, this range of ropes has a model that suits your approach and style. 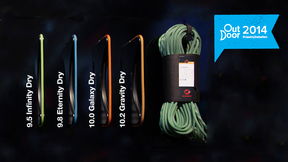 Mammut's Award-Winning waterproof ropes cater to every type of climber. I took a Serenity to Arapiles for a couple of weeks along with an 8.1mm PMI for the first week. While an 8.1 is certainly lighter it also feels very much skinnier. The generous sheath on the Serenity provides much more confidence. The Serenity worked perfectly well as a half rope, but we wound up not doing much climbing on doubles, because the Serenity just functions so beautifully as a lightweight single. I have no worries about falling on it. After a bunch of pitches over rock varying from smooth to rough and sharp, wandering routes, a number of rappels, a few short falls and one considerably longer whipper, the Serenity is holding up very well, with just the beginnings of very slight furring compared to an unused one I left at home. Extra points for the good bright different colours, easy to differentiate if you are a bit color-blind like me.